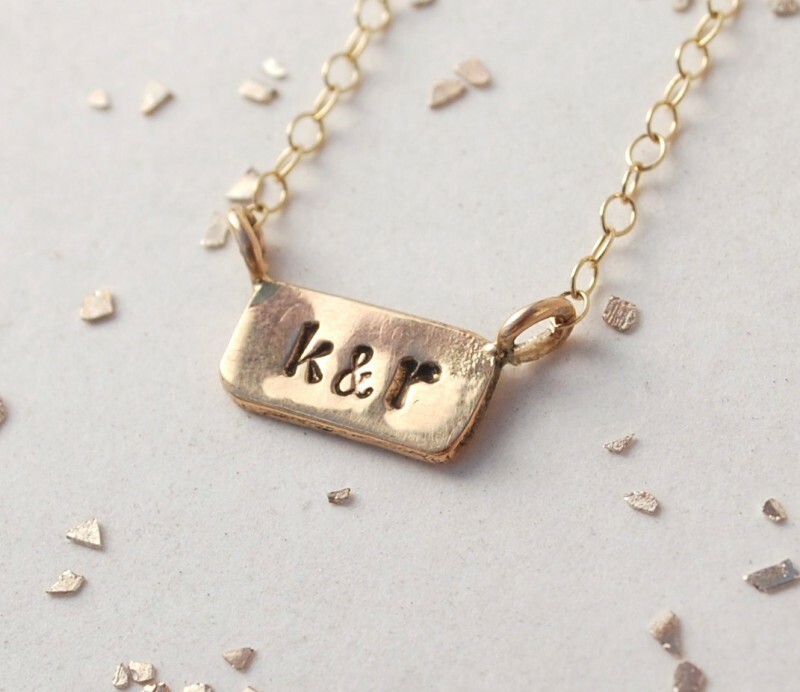 When you’re picking out gifts for bridesmaids, a monogram is always a welcome choice because, really, who doesn’t love their initials or name on something? 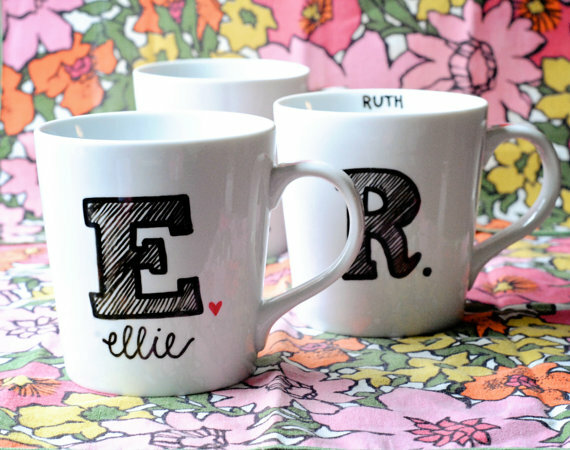 Today we’re sharing five handmade monogram gift ideas for bridesmaids to pick the perfect gift. Let’s begin, shall we? 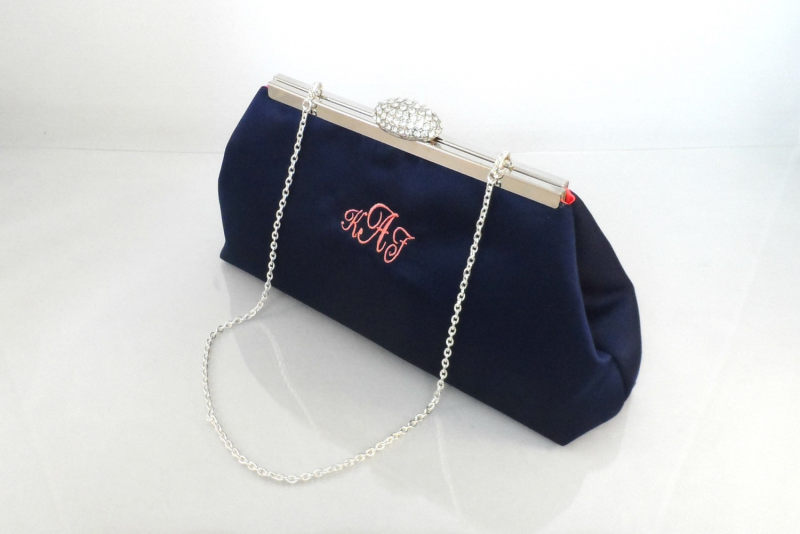 For starters, have you ever had a clutch purse with your monogram on it? We’ve never seen anything quite like this, spotted over at Ella Winston and we’re loving the color combinations from which to choose. For find two, we’ve gathered this gorgeous gold ring from Natsuko Jewelry. It features her initials spelled out in wire and it’s petite in size. A robe she can wear while getting ready is always a good gift. She can wear it on the wedding day and beyond! By Embroidery by Melissa. 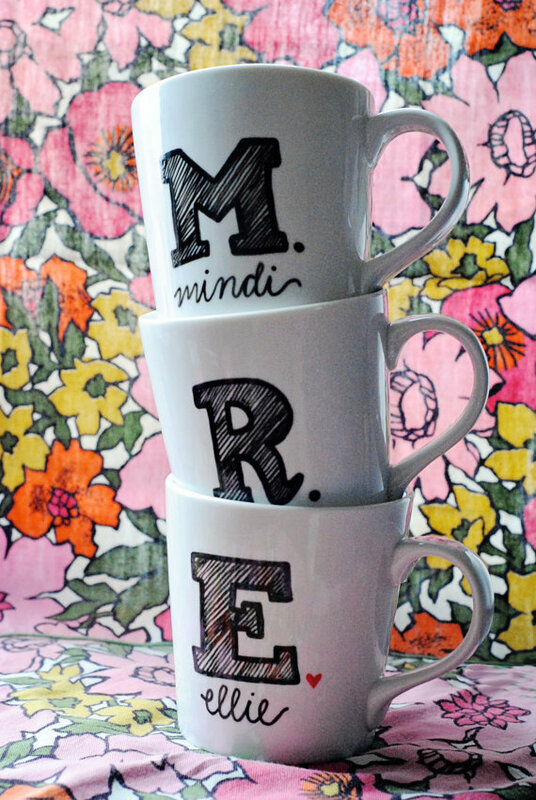 These monogram mugs were just too cute to pass up! 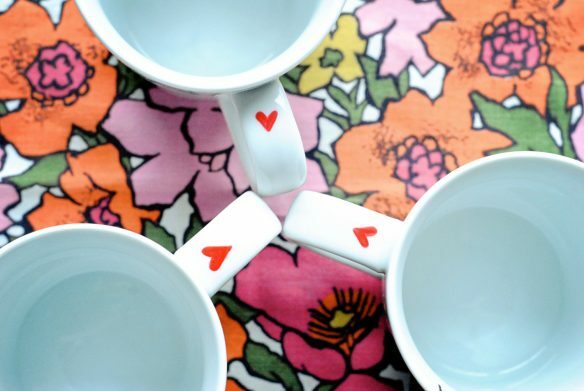 I’m an avid coffee aficionado myself, so I know how fun it is to get a new mug. By Grey Skies Blue. 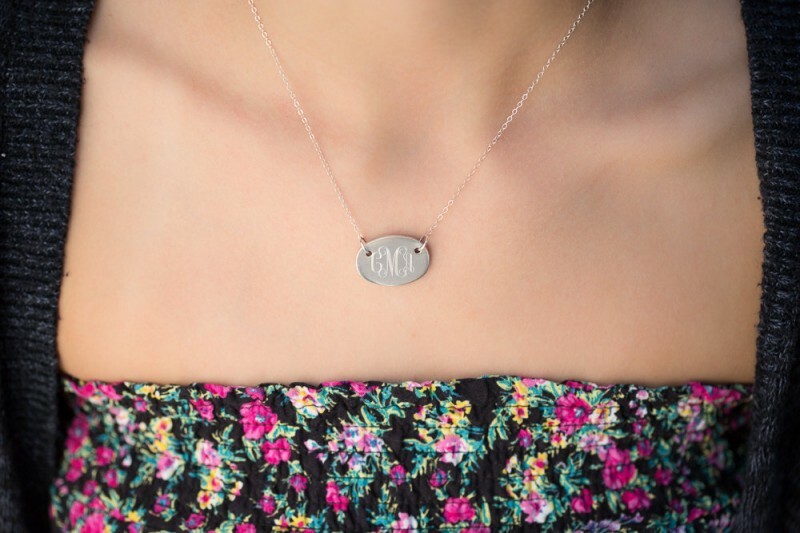 This engraved monogram necklace is sleek and chic. By Net Exchange. And then, since we couldn’t help it… one for you & your spouse-to-be! From Make Pie Not War. P.S. Want more ideas like these? Be sure to subscribe for fresh inspiration straight to your inbox! Do it now.